Home Latest News Why Noida Metro is still waiting for launch date? So what is stopping the Noida metro's aqua line for public operation? The Aqua Line is awaiting a formal inauguration. 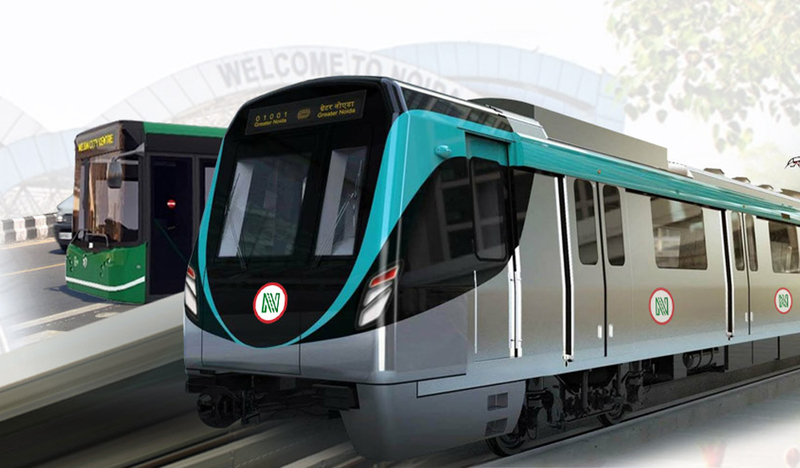 Noida, Metro Rail News: The Noida Metro’s Aqua Line has been touted as the lifeline of Greater Noida residents, including those living on the outer part of Noida. But the metro line hasn’t been made available to the public yet. The line will connect some areas of Greater Noida to the Delhi Metro, improving access to Delhi and Gurugram for Noida residents. “We have sent the proposal to the government seeking a launch date. From our end, all due diligence is complete. We have been given a go-ahead by the safety commissioner as well.” he added. So what is stopping the Noida metro’s aqua line for public operation? The Aqua Line is awaiting a formal inauguration. It is being speculated that the Prime Minister’s Office is yet to provide an available date. The BJP wants to inaugurate the line as close to the elections as possible, some claim. Others reasons for delay may include the authorities wanting to wait for the extension of the Blue Line. Nevertheless, the NMRC has neither cleared up any of these speculations nor offered a fixed timeline. The Noida Metro’s Aqua Line, expected to be functional in April 2018 for Public operation, was first delayed in 2017, after lack of funds delayed the pick up of its made-in-China coaches from Mumbai. The three-month delay in commencement of its major power supply source—a substation in Sector 148, Noida, further delayed its launch. A victim of departmental and administrative delays, the line costing over Rs 5,500 crore was then targeted to be completed in December 2018—the line had already missed two deadlines in April and October. Finally, it was cleared for operations after three trials and approval from the Commissioner of Metro Rail Safety (CMRS). However, December is the month of Kharmas, an inauspicious period in which people do not initiate any new tasks, the project was delayed further. “We were earlier aiming for Christmas 2018 but could not get a date then. We then entered Kharmas and it is unlikely that it [the launch] happens during this period. We’re hoping it’s done after Makar Sakranti with the opening of the new Kalindi Kunj Bridge this month,” a senior Metro official said. A six-lane bridge across the Yamuna river, near Kalindi Kunj, is also waiting for a final heads up. Any further delay will only add to make to NMRC’s challenges. For example, the metro which is currently running empty under trial can accommodate up to 1,034 riders. The fare for the journey from the first station to the last station is Rs 50. This is to say that the NMRC is losing out on about Rs 51,700 per run. Additionally, if the inauguration doesn’t take place by January 31, NMRC will have to reapply for a CMRS clearance, which would need more trials and thus, further delay Aqua Line’s launch.